The opportunity to love what you do by engaging in exciting and innovative work and immersing yourself in a collaborative work culture that is committed to empowerment and employee learning and development. As a Crown corporation, we offer a competitive compensation package, including generous vacation time, extended medical and dental coverage, flexible work options and a defined pension plan. Located in the heart of downtown Vancouver, our headquarters offers a beautiful and central work setting. Access to the waterfront, transportation options, and the best of Vancouver’s urban west coast amenities are only a few minutes away. Who Works at Destination BC? We are a team of collaborative, insights-driven, results-focussed and courageous leaders. Destination BC is recognized globally for our strong, authentic brand, our award-winning creative and leading-edge marketing, and our destination management strategies. We work hard, play to our strengths, support each other unreservedly, and consider it a privilege to share the transformative power of BC’s experiences with the world. "We are proud of our work." "Our leadership team are natural leaders and I feel confident in their abilities to lead us into the future." "Our environment is professional while also being fun and quirky." "We offer competitive flexible work options to support work life balance." "We celebrate each other as well as our successes." "Destination BC is cutting-edge. We are a leader in the tourism industry when it comes to marketing and destination management." 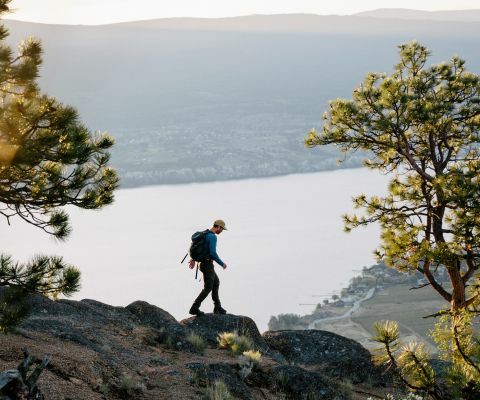 "For someone who has an interest or passion in working in tourism, Destination BC is one of the most exciting places to be." "Our work is founded on the highest degree of collaboration. Employee ideas are heard, appreciated and implemented across our business teams for best results." "Taking pride/satisfaction in knowing that the purpose of my career is to share the wonderful province of BC with the world." Cover letters and resumes can be submitted via email to dbccareers@destinationbc.ca. We thank you for your interest in Destination BC. Due to the volume of applicants, we will only be contacting individuals considered for interviews. We encourage you to bookmark this page and check back often for current job postings. Interested in tourism as a career? Search for jobs, and learn about tourism careers and education in BC at go2HR. By registering for our Tender Opportunities Notification Service, you will receive e-mail notifications of public sector procurement opportunities matching the goods and/or services categories you have selected. Each opportunity will provide general information about the tender as well as a link to the British Columbia Procurement Web Portal.